Listen! It kicked again right here. 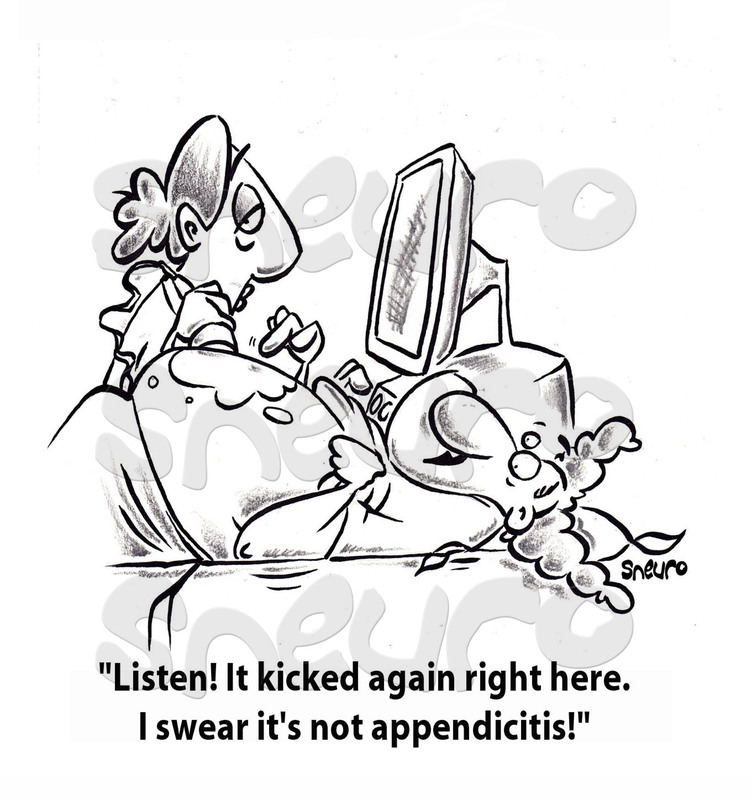 I swear it’s not appendicitis! Good ‘ol Pearl. She’s a bit to hopeful about starting a family. This one was inspired by my multiple scans, doppler and ultrasound tests I got related to my cancer. I felt like a peace of meat on the butcher’s block. But now it’s all water under a bridge. Let’s concentrate on what’s upstream and forget the ride over the rapids the last two years.